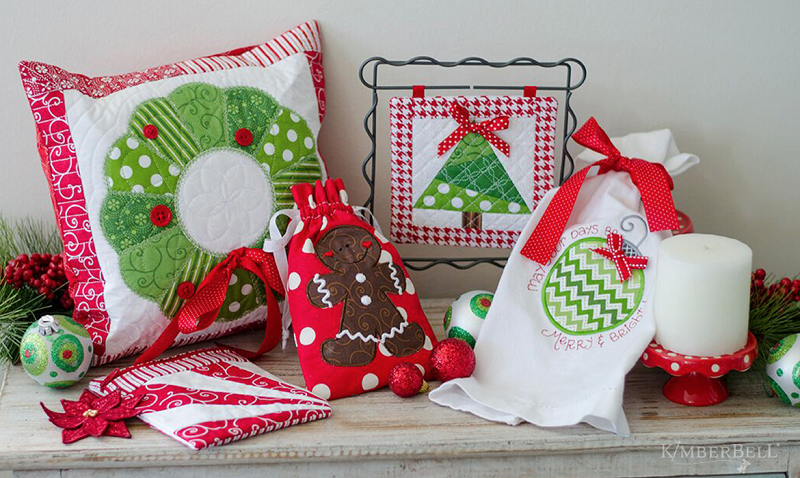 Start your holiday embroidery with Kimberbell's charming Merry and Bright designs! This two-day event will have you making all sorts of wonderful gifts and decor for the Christmas season. Get festive and celebrate machine embroidery addiction! Enjoy six exclusive projects to deck your halls or gift for others to create in just two days. Create a quilted wreath pillow, gingerbread cinch sack, a fully-lined peppermint twist zipper pouch, and a few other projects. Machine Requirements: Embroidery Machine; Hoop size 5 x 7, 8 x 12. NOTE: If you don't have an embroidery machine or prefer not to bring one from home, we can rent one to you for the day.